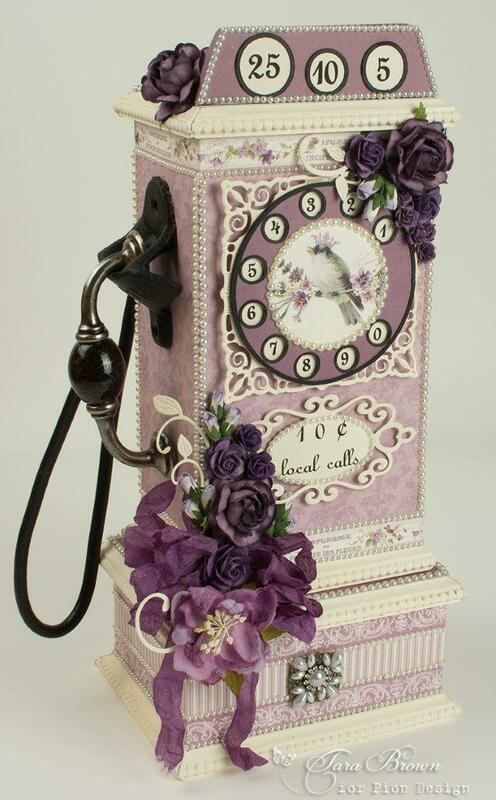 I designed this handmade chipboard pay phone box initially for the blue Easter Greeting papers, but I couldn’t resist making another one after seeing the lovely Scent of Lavender colors! White painted wood trim was cut and added to the projects. 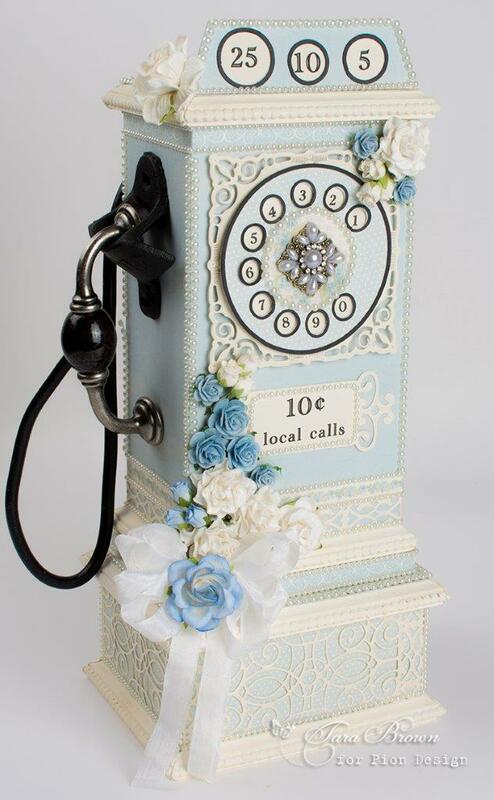 Many wishes for a happy day!